Yes, volcanoes. 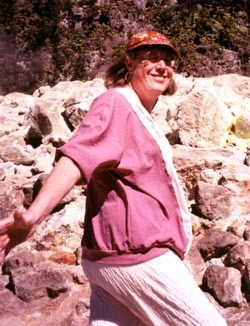 Kilauea is one (visited 1998). Here I'm on the outside flanks, about twenty feet below the rim of the caldera, near a vent-hole. The yellow substance is condensed sulfur fumes. 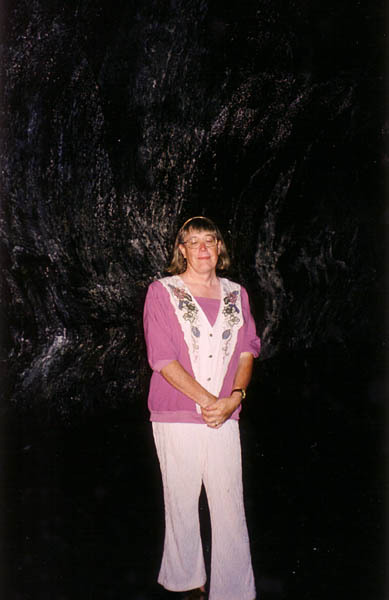 This is not the most flattering of pictures, but it shows the inside of the Thurston lava tube. About fifty feet further along the tube, things get vertical and start heading down. I decided it wasn't worthwhile going back and finding a rope. And from 2008, you can add Mexico City to the list. Mexico City is on the edges of the Chichinautzin volcanic field, part of the Trans-Mexican volcanic belt. I've been told that Mexico City itself is built in the crater of a dormant volcano - there are smaller volcanos inside the city limits. I've also been told it isn't. But I figure much of Mexico is sitting on top of a subduction zone. That means there's a volcano somewhere in history for just about everywhere. One thing about being high, you're further from the center of the Earth. That way the gravity isn't as strong. Mary Monica is in the green shorts. The other two are Alexia and Stefan, daughter and son of Maru and Jerzy. 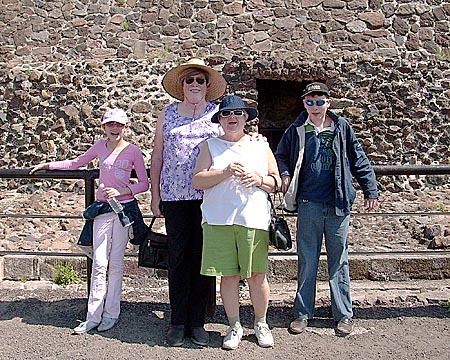 The rectangular shadow behind us is a doorway into the pyramid, kept very tightly locked. From this entrance, a passage leads down to the sacred caves below, according to current scholarly belief. They're certain about the "passage leads down" and pretty sure about the "sacred" bit, but there's some dispute over how natural the caves may be. Mexico City is home not only to world-class pyramids, but to a world-class hat. 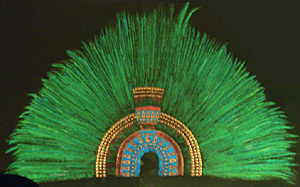 The Museum of Anthropology has a replica of Moctezuma's ceremonial headdress, made from iridescent feathers.